What if your daily commute involved parachuting down to earth rather than being stuck in vehicular traffic? 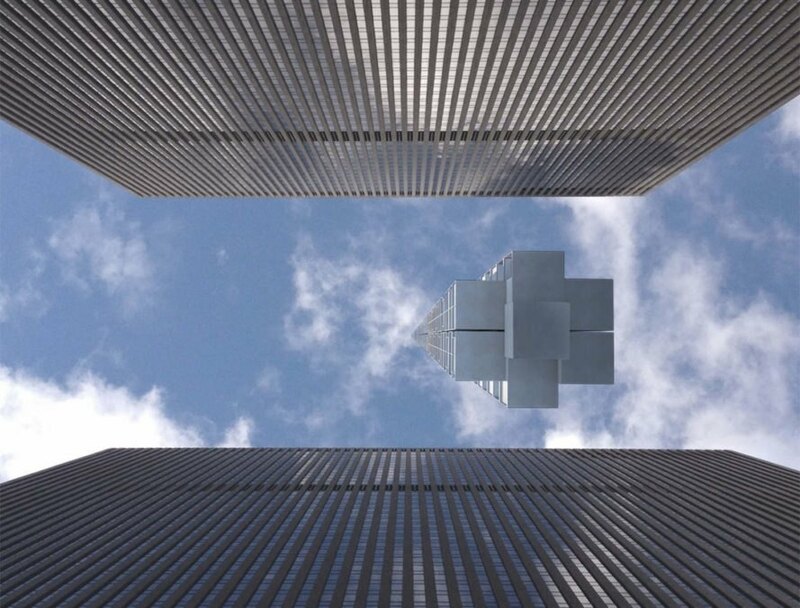 That’s the vision in Clouds Architecture Office’s incredible proposal for a skyscraper suspended off an orbiting asteroid. The design, called Analemma, would be powered by space-based solar panels and capture water in a semi-closed loop system that draws from the moisture in clouds and rainwater. While some may write off Analemma as an early April Fools’ Day joke, we think the unusual design is a fun and unconventional thought experiment worth exploring, if only to get our creative juices flowing. 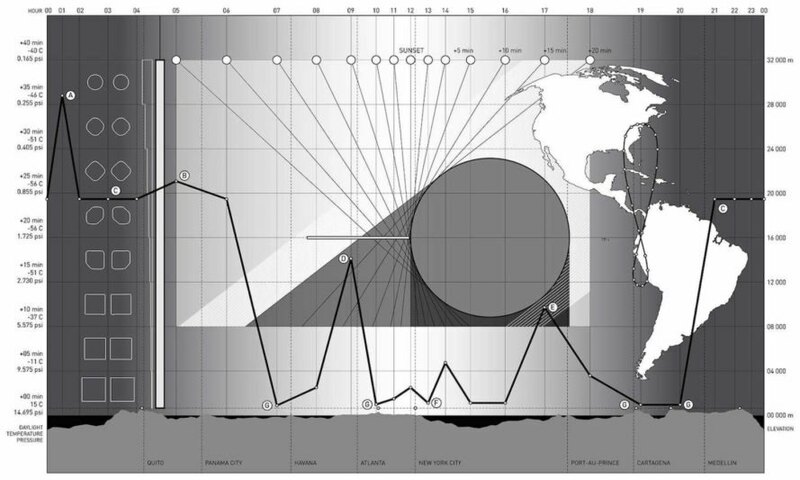 The conceptual design begins with the placement of a large orbiting asteroid set on a figure-eight geosynchronous path that moves between the north and southern hemispheres on a predictable daily loop. 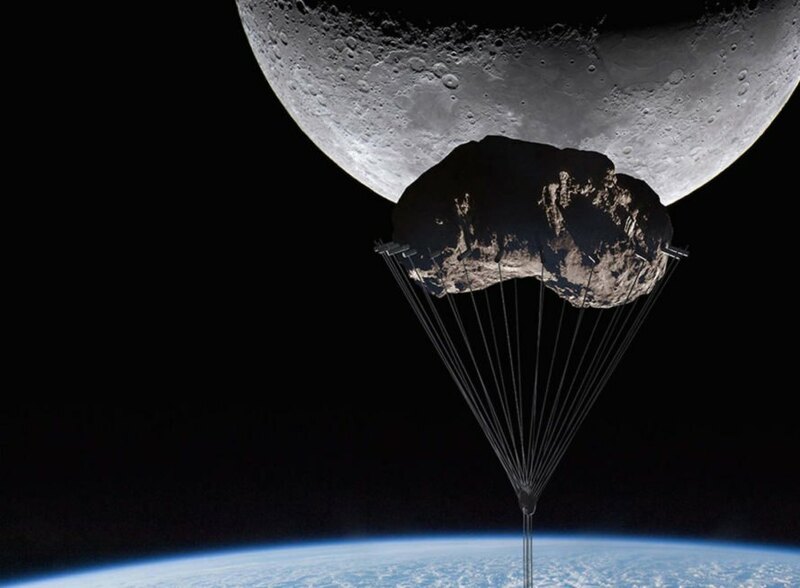 The skyscraper, suspended from the asteroid via a high-strength cable, would allow residents to parachute down to work when the orbit slows down and gets closest to midtown Manhattan. The proposed building is split into four main areas: business activities at the lower end of the tower, sleeping quarters placed approximately two-thirds of the way up, prayer rooms at the very top of the building, and surface transfer points at the bottom. The tower would be prefabricated in Dubai—which the architects say is “a specialist in tall building construction at one-fifth the cost of New York City construction”—and the modules transported and assembled above earth. While some may write off Analemma as an early April Fools’ Day joke, we think the unusual design is a fun and unconventional thought experiment worth exploring, if only to get our creative juices flowing. 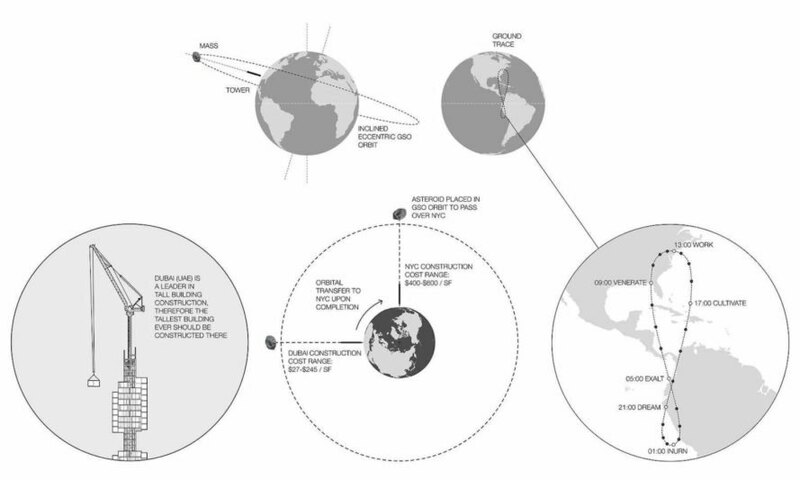 The conceptual design begins with the placement of a large orbiting asteroid set on a figure-eight geosynchronous path that moves between the north and southern hemispheres on a predictable daily loop. 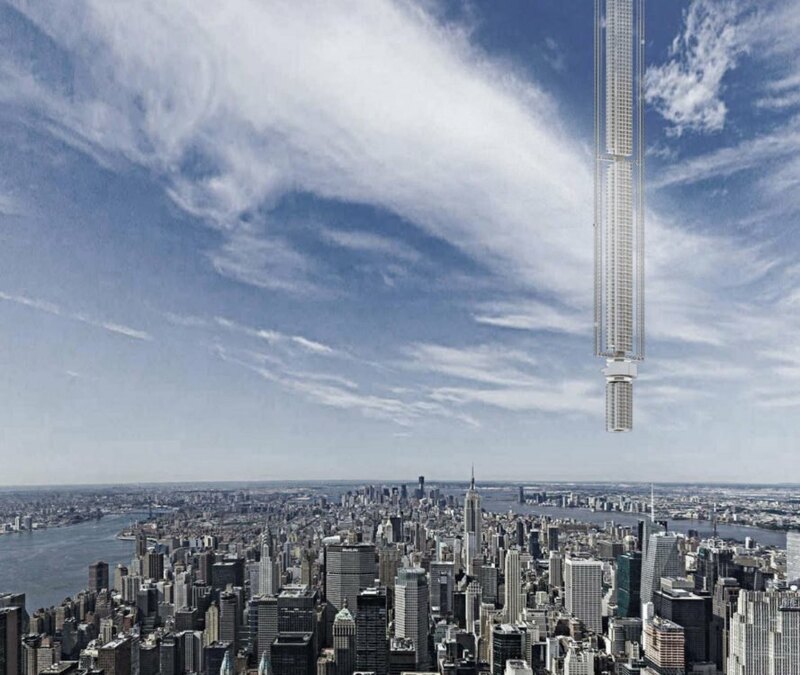 The skyscraper, suspended from the asteroid via a high-strength cable, would allow residents to parachute down to work when the orbit slows down and gets closest to midtown Manhattan. 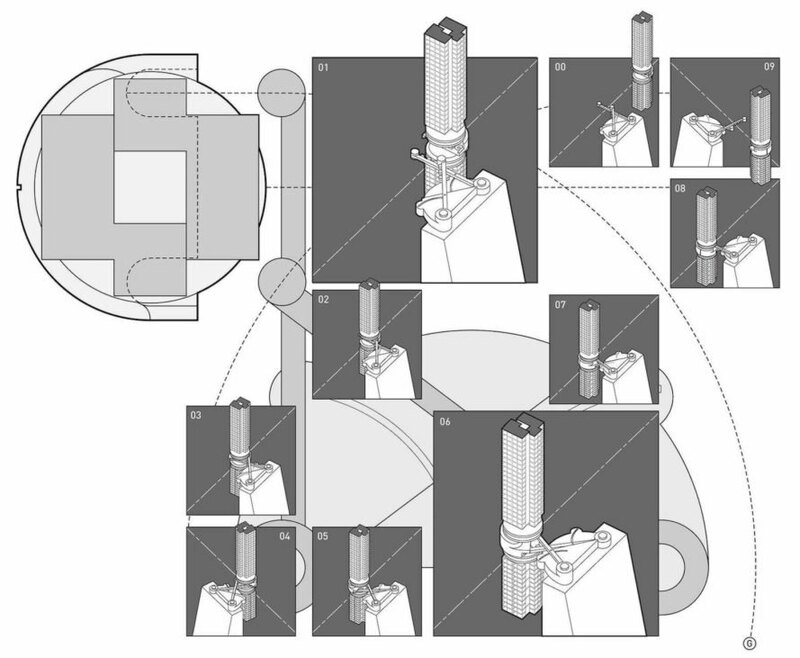 The proposed building is split into four main areas: business activities at the lower end of the tower, sleeping quarters placed approximately two-thirds of the way up, prayer rooms at the very top of the building, and surface transfer points at the bottom. 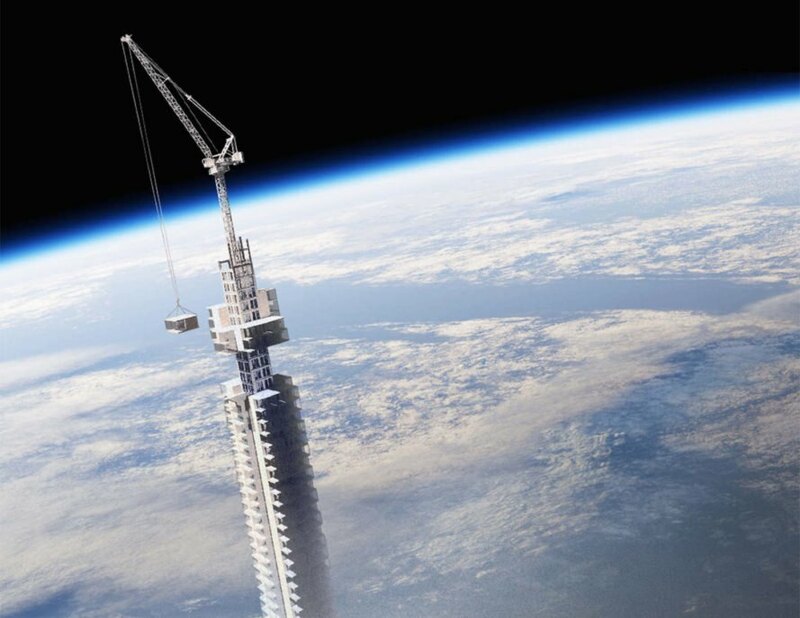 The tower would be prefabricated in Dubai—which the architects say is “a specialist in tall building construction at one-fifth the cost of New York City construction”—and the modules transported and assembled above earth.